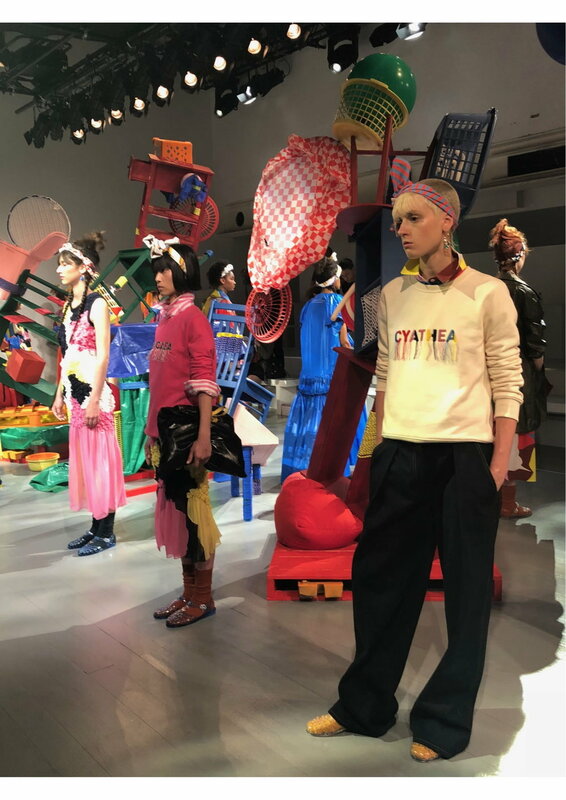 Minki offered another optimistic, fun collection and presentation that offered a burst of colour in the London Fashion Week show space. The collection was built around contrasting fabrics such as humble cottons, seersuckers, canvases, plastic and silk twills. Minki clashes different outlines such as bold prints, patches, coloured crushed leaves and stripes. The vibrant collection used a mixture of reds, yellows and deep sky blues, whilst white shades, creams, magenta pinks and midnight greens mainstream the collection.